You will need to have a combination of lye, distilled water and an oil mix and Nestum cereal milk. The oil mix contains castor, olive, coconut and palm oil. Each of these oils provide a variety of benefits to the skin. For example, castor oil has anti-inflammatory properties. It also acts a moisturizer, retaining the natural oils of the skin. Next, add maple, oat and honey fragrance oils for a unique and flavorsome smell. Finally, add saffron mica. 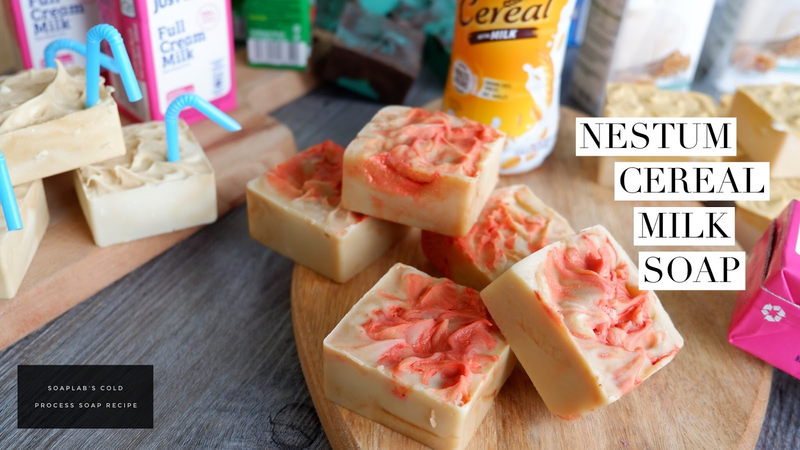 So, there you have it, your very own Nestum Cereal Milk soap!